As a UK headquartered private jet charter company, we get a huge number of enquiries for European private jet charter for both business and holiday travellers alike. Private jet charter to Europe is a natural timesaver for busy executives who are time-poor and work-laden, while for leisure travellers, private jet charter to Europe opens endless opportunities to take on the diverse culture of the region. City breaks across Europe with private jet charter have that very special component – luxury, ease and speed of check-ins and the ability to create your own itinerary without prescriptive schedules. With a huge amount of cultural and sporting events across Europe, many of our customers chase their passion around Europe and visit festivals, music events and many other specials occasions. At Chapman Freeborn we provide private jet charters across Europe from Andorra right through to the United Kingdom, and with offices across the region, we are sure we can cater for your private jet travel needs. Find Chapman Freeborn’s regional offices in Europe. Spain’s historic and vibrant capital, Madrid is renowned for its world-class museums and galleries such as the Prado, and is home to the Spanish royal family and seat of the Spanish Government. Located in the centre of Spain, Madrid offers tourists an eclectic restaurant and bar scene, as well as relaxing parks and gardens, and speciality markets. The capital of Germany, Berlin has played a major role in European history. Berlin offers visitors superb museums, an eclectic arts and music scene, as well as superb local and international restaurants and retail. There are also many parks and gardens to enjoy. Poland’s beautiful capital city has a fascinating history that’s reflected in its architectural mix of Gothic and neoclassical masterpieces. Home to a well-respected classical music scene, the cultural life here is world-renowned. Couple that with a charming Old Town, parks, gardens and castles, as well as a great nightlife, it’s no wonder Warsaw is one of Eastern Europe’s most popular destinations. Cannes – the jewel of the French Riviera – is widely known for its glitz and glamour provided by celebrities and notables who live or visit in the area. With its elegant Belle Epoque hotels, the famous film f­­estival, high-end retail and fabulous restaurants, as well as an idyllic setting on the Golfe de la Napoule Bay, Cannes offers visitors a gentle climate, beautiful beaches and an active cultural life. Here are 5 reasons to visit Cannes by private jet charter. 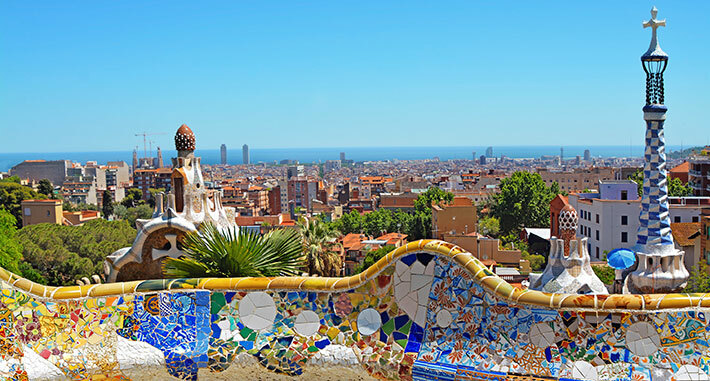 Located on Spain’s north Mediterranean coast, just south of the Pyrenees, Barcelona not only has an excellent football team, it’s cultural life is world-class. From people watching in the Ramblas, to relaxing on the beach at La Barceloneta, this is a city dances to the beat of its own drum.